Ever made a purchase only for worry to beset you a few days later as to whether you got the best deal, the seller is going to follow through on the contract, or even if you chose the right colour? That feeling stinks. At Office Interiors, we know that we aren’t always the best fit for every customer’s specific needs. We prepared this list of the top office furniture dealers in New Brunswick so that you can be completely confident in your choice of a dealer partner, whoever that may be. To maintain impartiality, I do not include Office Interiors in this list. Atlantic Business Interiors services NB from offices in Moncton and Saint John. Founded in 1986, they carry a comprehensive offering of office furniture that will satisfy a wide range of customer requirements. Their core values are to “provide Quality Products, Excellent Service and Competitive Value.” Their primary supplier is Steelcase, one of the world’s largest office furniture manufacturers. Serving NB from their team in Moncton, E3 is a full-service office furniture dealer. They pride themselves on providing great service, excellent products, and low prices. The team at E3 is encouraged to follow one main rule “treat people how they want to be treated.” Their main manufacturers are Performance Furnishings and Source Office Furnishings. With a showroom in Moncton, Ergoworks differentiates itself by specializing in ergonomics; they are the only furniture dealer in NB to employ a full-time Occupational Therapist. Boasting of a 97 percent customer retention rate, Ergoworks believes their proven track record speaks for itself. Their furniture offerings are built around the Teknion, Global Furniture Group and KI furniture lines. Grand & Toy serves NB from their office in Dieppe but is a national chain with a headquarters in Vaughn, ON. Their furniture division was founded in 1912 and has over 100 years of experience in coordinating with designers, architects, facility planners and end users to satisfy their customers. They carry a variety of furniture lines but focus on Global Furniture Group and Safco Products. Since its inception in 1995, Office Outfitters has been providing office furniture to Atlantic Canadians from their Saint John office. Their passion is “to surpass our clients’ expectations.” Alongside their office furniture, they also offer space planning, CAD drawing and installation services. They have partnered with Teknion and Artopex for the bulk of their furniture products. 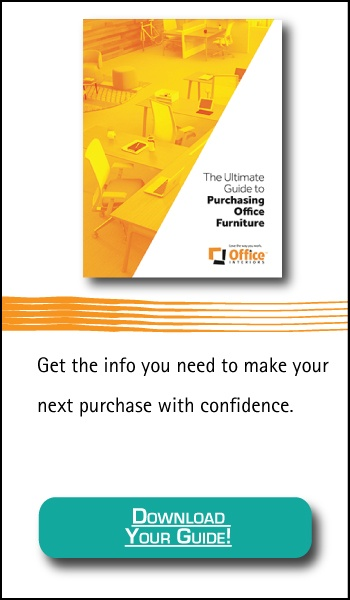 Active Office has been serving the NB office furniture market since 1980. Priding themselves on offering high-quality, integrated products, Active Office has been a staple in the Fredericton area for almost 40 years. They partner with Herman Miller and KI and several other manufacturers to offer a wide variety of office furniture and ergonomic products. Initially, a locally owned and operated office equipment dealer, Office Xpress recently expanded their capacity to offer a wide range of office furniture as well. Based out of Moncton, they provide the full line of Artopex products including systems furniture, modular walls, seating and storage. For over 60 years Covey Basics has been a staple of the Fredericton area. In 2010 they expanded into Woodstock and Moncton to better serve the rest of the province. While still locally owned and operated, their position as part of the Basics buyers group gives them the ability to bring national scale purchasing power to bear on behalf of their customers. Their primary manufacturer partner is Global Furniture Group. Now that you know a little more about what choices are available, you might want to know how best to choose one dealership over another. Based on our 25 years of industry experience, we’ve determined that the following four metrics are a pretty good way to compare the qualities of furniture dealerships. Have a measurable way to evaluate their customer service experience, such as the Net Promoter Score system? Provide customized products or solutions? Offer after-sale service and support? If you are interested in reading a little deeper on how to compare furniture dealers best, check out our post Four Things to look for in an Office Furniture Provider. Ready choose the dealer for you? 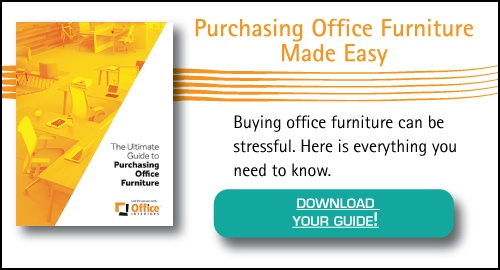 Hopefully, after reading this article, you feel a little more prepared to select the office furniture dealer who will best meet your business’s unique needs. Any of the providers in this post are worth your consideration. The goal of our blog is to arm you with the information you need to “create a more productive work environment” (to quote our company mission) in as unbiased a way as possible. So instead of using the conclusion of this article to sell you on why you should do business with Office Interiors, I will say only this; when you are ready to pick a furniture provider, reach out and ask how we stack up against the four criteria above.